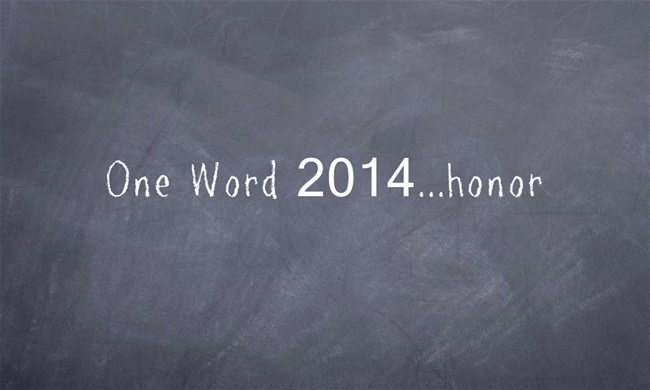 When Holy Spirit dropped “honor” in my heart for my one-word-2014, I really wasn’t sure what all it would entail. I knew, number one, I wanted to honor Him in everything I was involved with in 2014. And, just like God, He began branching out and taking me down little holy rabbit trails. So, today, I am going to share one or two with you. I am sorry to say my father was not a man of honor. He dishonored his family by his behavior. Children, honor your parents, this is a commandment with promise. That scripture isn’t just for the defiant, stubborn teenager – it is for 50-year old adults also. His favorite saying to his daughters, “Don’t do as I do, do as I say.” Honorable? Not. As my mother and I grew older, I learned that honoring looks differently at 55 and 79. My mom was an outspoken ‘character’, and, I had to learn how to honor her while placing boundaries around my heart. I made those “lines” very clear to her. Once she knew “where she could go” with her comments and criticisms, and “where she could not go”, we were fine. Honorable? Yes! 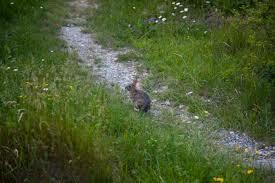 I did mention rabbit trails, didn’t I? My friend and I are holding each other accountable this year in our daily scripture reading and we have started in the wonderful Gospel of John – you know, the disciple that Jesus loved! When John, or perhaps his scribes, began placing ink to paper, he went deep. Is that not the most beautiful passage? It is on my scripture line in the dining room and I hope to have it memorized by Resurrection Day. John has a way with words. John 1 is long and encompasses a lot of information: we see John the Baptizer, Jesus’ baptism, and the first disciples being chosen. Then, the rubber meets the road and here is where we are going to either hear and heed or just hear and ignore. John 2. The first miracle. Water turned into wine. Most of us know the story well. But, it is verse 5 that nails it. His mother said to the servants, “Whatever He says to you, (just) do it! Here is where the rabbit trail ends. Here is where we hear it and heed or hear it and run. I want to be a hearer and a heeder (made-up word) and when I do this I will HONOR my heavenly Father. I pray we all have the courage to ask ourselves this question today. Beautiful, and what a word that is. We are so blessed by our Abba, he just blesses our socks off. And to give us a word, and guide and direct us. My word for this year is Trust/Trusting. It’s hard, but he carries us thru, and his teaching is wonderful. I love reading your blog, thank you honey, for being Faithful! I’m teaching bible study on the Gospel of John. It took us a whole semester to get through the first chapter because there is so much goodness there. It must be savored slowly. I really appreciate your authenticity regarding your relationships with your parents. Honor can be so hard, especially when we believe it is undeserved. It is by His grace when we can give it and give it well. So glad you linked up with SDG! Glad to have found FHT and SDG! Love your one-word-2014! Have some every single day! Make it a point! As I read your blog the first words that came to mind were from JM who said, “We are educated far beyond our level of obedience.” I am convicted of that everyday as someone who has been taught and read Scripture since birth. I have memorized many verses but how many have I put into practice? Hopefully more today than a year ago but thanks for the challenge to honor Him by my obedience more in this New Year. I believe the greatest honor we can give our King, is our obedience to His simple commandment to love Him with all our heart, our soul, our strength and to love our neighbor as ourselves. It made me “sort of” sad to read about our Father. I had a lot of working thru him in my 12 step recovery program from co-dependence. And you taught me about our Mom and I too learned to set boundaries with her. One of the things I love about John, the Beloved, is that he is the one who called himself the “fav”. I am learning, still, trying, pressing in, that I am loved and I have to love me! It is important that we take care of “me” first. The Trinity: the Father, the Son, and the Holy Spirit love “me” and first and foremost I have to love me, Peggy Chamberlain Hoefl, because I am God’s Favorite. And I am learning to do just that. Thankful for freedom in Him. Exceedingly for 2014…from my verse of the year Ephesians 3:20-21. For me, healing comes from seeing it as it was. I cannot gloss over the dishonoring and the blatant in-your-face sin he slammed on me and my three small children. Having said that I have forgiven and moved on and give grace in the same exceeding manner that HE extended to me during my wild years. Grace honors God. Honor: A word instilled in me as a small child from the fourth commandment to honor thy father and mother. As I grew older I realized there were more people and things to honor in respect to my parents. Mainly our Lord for He is our King and deserves to be HONORED in many ways. Even though I sometimes don’t have the opportunity to see this blog until days after, I always look forward to all I can learn from my “sisters”- week after week. My WORD for 2014 is TRUST. I think that trusting in God is also a way to Honor Him also. Thank you Susan, and all for being there. Sus, I enjoyed hearing your thoughts on honor. Just today my mom and I were talking about how hard aging is … and as I watch my folks navigate this season of life where they will have more and more losses. Honor is a good word for this season. Thanks for joining in the Trusting Tuesday link up! I’ll be looking forward to February’s thoughts. Susan, thanks for linking up at Thought-Provoking Thursday last week. It’s been a crazy week personally, and I am finally here to read and digest your post. I love the fact that you have a friend who is keeping you accountable — what a blessing! Catching up on your blog after being gone on vacation. Wonderful stuff as always………….I love the idea of “a word” for the year….very much. I’ve thought about it, but, haven’t come up with anything that speaks to my heart as of yet. Keep on writing. You always bless me and touch my heart.